You might already be familiar with Corduroy--but do you know Earl? Earl the Squirrel? 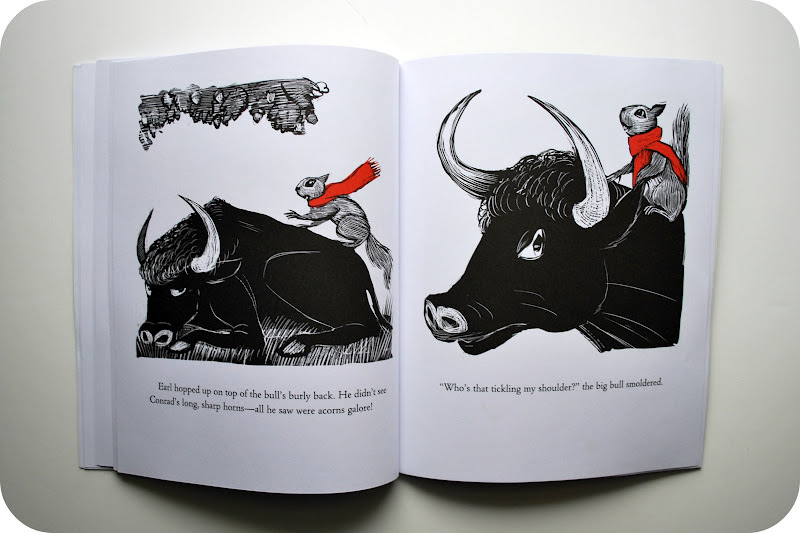 I didn't either--until I discovered a copy of this book at The Great Pumpkin Patch last fall. The black and white illustration on the cover caught my eye--and then I recognized the author's name--Don Freeman (better known for his overall-wearing-bear-creation--Corduroy). Given my family's own complicated relationship with the cheeky squirrels living around our home--and in our attic--I could not resist a book that made squirrels a little more, well, endearing. 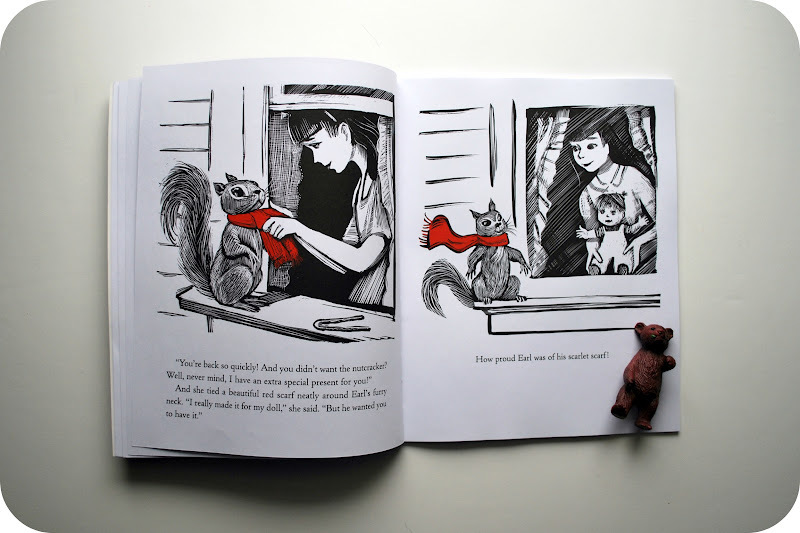 This is a story of a young squirrel whose mother believes has become spoiled and unnaturally dependent upon his human friend, Jill. Make your own judgments here, but Earl does find a nutcracker helpful when breaking open an acorn (not to mention that red scarf he likes to wear knotted around his already furry neck). 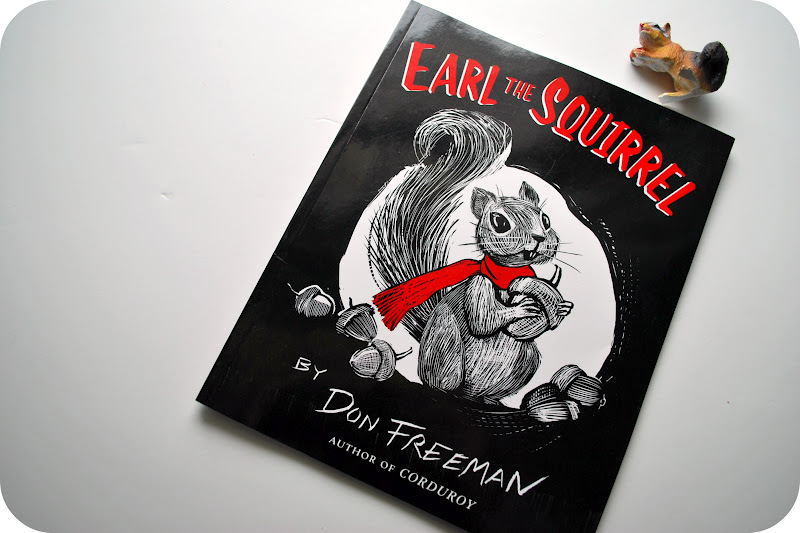 In the spirit of all great childhood acts of rebellion, Earl sets out one night to gather a bunch of acorns on his own--with the help of his unnatural yet handy, red scarf. 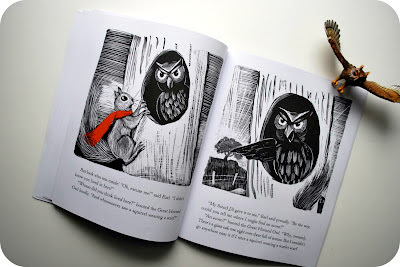 Of course, adventure ensues in the form of advice-giving owls and angry horn-wielding bulls, but Earl also learns a thing or two along the way--not the least of which is that while a natty red scarf does look good on him, and can come in handy in a pinch, it is still not necessary for his survival--a squirrel can get along just fine without accessorizing. It is a sweet and simple story about becoming independent and understanding one's place in the world while also doing things in your own unique way. 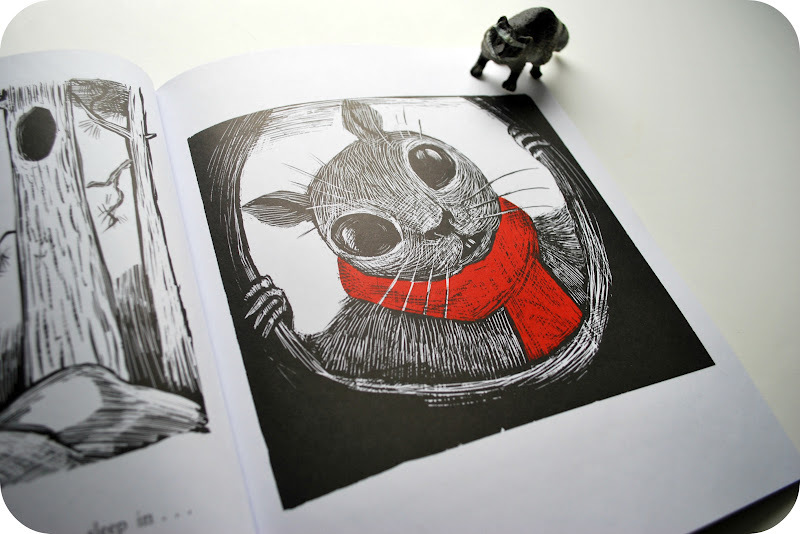 The retro black and white scratchboard illustrations with the happy pop of Earl's red scarf throughout are eye-catching and even without the charm of Earl's character, make this book worth a read. 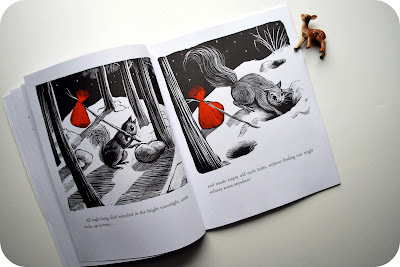 I've had that squirrel plushie bookmarked for ages - so long in fact I'd forgotten about it! 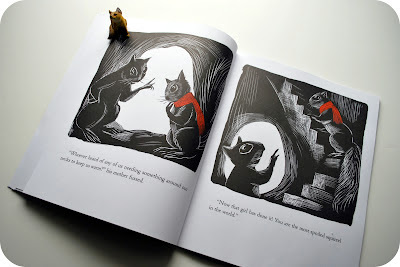 The book looks adorable - and when you said you had a complicated relationship with squirrels I immediately thought of a book that our whole family loved called 'Those Darn Squirrels' by Adam Rubin. Thanks for the great tip on this book. Our 1.5 year old has recently been intrigued by the squirrels that eat at our window feeder. I can't wait to get a copy of this to read to her at bedtime.